“I avoid those enzymes because I hear that they’re grown on Aspergillus”. If I had a dollar for every time I have heard this comment or one similar, I would have…well—a lot of dollars. Before we move on, my biggest concern is the wording of this comment or question. I have been asked about my knowledge of Aspergillus on countless accounts and people seem to think that enzymes are “grown on Aspergillus”. Please allow me to begin with this first fallacy. 1) “Grown on Aspergillus”: First and foremost, it is important to understand Aspergillus is a fungus. Secondly, enzymes are not “Grown on Aspergillus,” but are secreted from Aspergillus. Specifically Aspergillus niger and Aspergillus oryzae. Fungus secretes these enzymes to help break down protein and nutrients that the organisms need to survive. With this knowledge, clever researchers have used these enzymes to their advantage by utilizing them in dietary supplements. These extremely useful enzymes can be implemented in our diets to improve our internal chemistry. However, like everything in this world there is unjustified criticism for something that can be so powerfully beneficial to our health. – In summary: Aspergillus is a fungus. Enzymes are not grown on Aspergillus but secreted for their own benefit. We can harvest those enzymes and share those benefits of the enzymes that Aspergillus secretes. 2) “Aspergilliosis”: People actually inhale aspergillus spores on a daily basis. They’re actually harmless in humans that are not immuno-deficient. Many are ill-informed and unaware that Aspergillus is around us all the time. However, people who suffer from immunodeficiency may be subject to infection because their bodies have difficulty with encountering bacteria and pathogens that we unknowingly allow into our bodies. 3) Aspergillus allergies: Some people believe that they’re allergic to Aspergillus specifically, although, there is a possibility it is true, there is also a possibility that it is not. You see, Aspergillus enzymes are derived from a fungus, however, the enzymes are purified up to 12 times by enzyme manufacturers to only produce the purest protein in the form of enzymes. 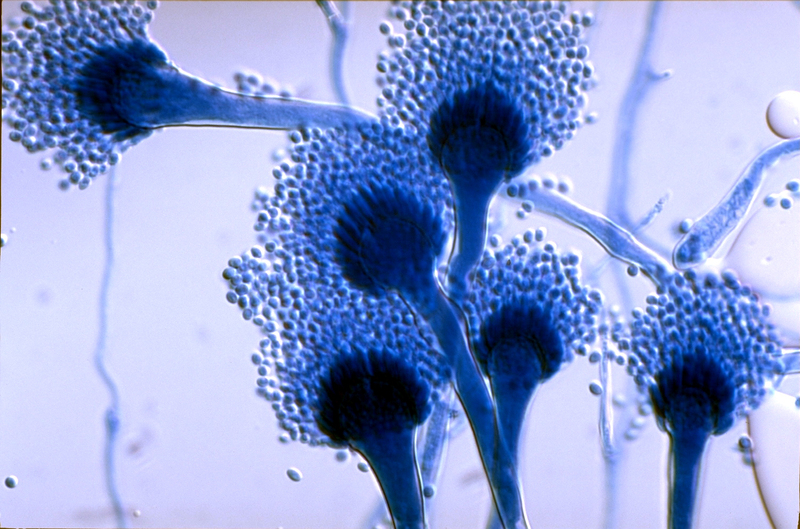 Though sensitivity to Aspergillus is possible, it is quite unlikely. – In summary: Aspergillus sensitivity is rare because due to the purification process. There is also a chance that those who experience sensitivity to a product containing enzymes from Aspergillus could potentially be sensitive to another ingredient in the product. 4) “Aspergillus causes mold” : That is correct—but generally in vegetables, not humans. Aspergillus is a fungus and that’s the nature of this specific species. However, as enzymes, they’re entirely purified and filtered. – In summary: This concern is irrelevant to human consumption. So there you have it, the unbiased facts of what Aspergillus is. I understand that we, as consumers, take precautionary measures when it comes to our health but we should educate ourselves before we make a decision based solely on what a company is trying to sell us, am I right? The goal of this is to enlighten people and provide solid facts to help people make good choices, nothing more; nothing less. In the meantime, Cheers to your health, friends!